Manufacturer & Exporter of Compressed Air Systems. 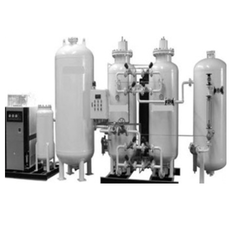 Our product range also comprises of Gas Plants, Industrial Plants and Ammonia Cracking Units. With our precise perception, we have offered Compressed Air Systems manufactured and designed to fulfill the diverse industry needs. These air systems offer absolute performance and are available at market leading prices. Our customers are ensured an enriching experience while using these tremendous air systems. These systems are offered with a complete turnkey packaged solution for all industrial plant/dry air requirements.